Need more seating? 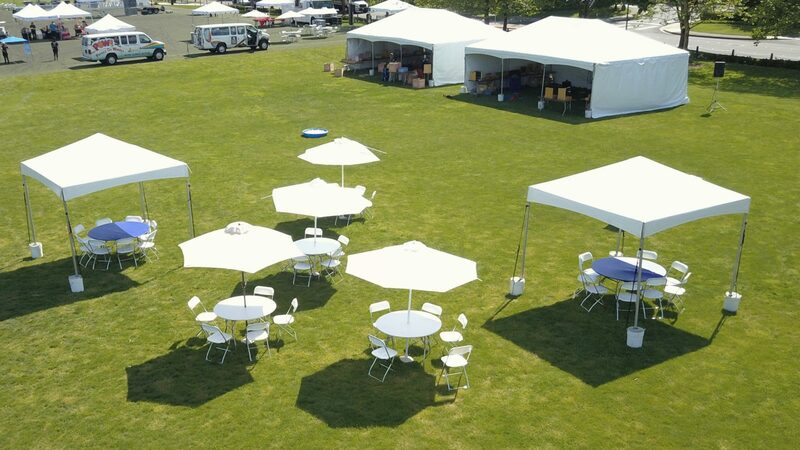 We at National Event Pros got you covered rain or shine. Any outdoor space can be transformed with these round-table style tables and pop up umbrellas, perfect for sunny days or if you’re expecting some finicky weather. 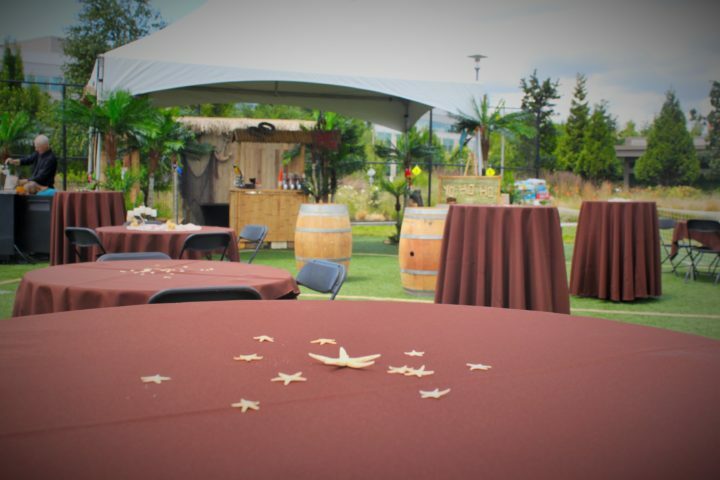 Transform an entire outdoor venue with patio style heaters, lights, and a sound system. 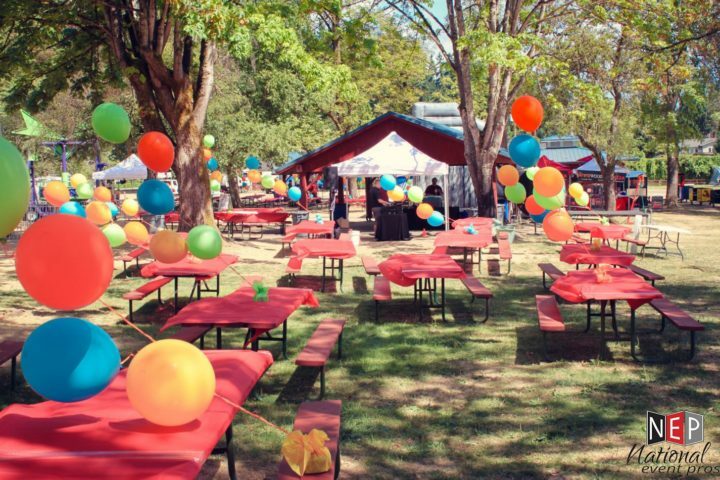 Host a beer garden or check out the many other concession services that our event staff can provide at your next company event, product launch party, or wedding. Also known as Kwik Covers. Available in multiple colors for 60″ round tables, 6′ banquet tables, and 8′ banquet tables.